Many organizations hold yearly employee performance reviews. These evaluations reinforce what their managers expect in the workplace but also provide employers with information to use when making decisions, such as promotions, pay raises, and layoffs. In addition, many organizations utilize the 360 peer review which is an assessment of interpersonal skills from an employee’s peers. We used the same format with our children and incorporated it into our yearly retreat. “Is there something our kids need from us that we are not providing? Not in material things but love, grace, or affection? What do they think about each other? When I am not around, are my kids treating each other well? Does their behavior reflect our family’s mission or values? They have various love languages, so even though we think we might be loving them well, they may not think so. Family Assessments will allow you to grow individually and as a family together. Family retreats are not just about work but having fun with one another. Discussing each other’s strengths and weakness helps each family member to understand how they impact those around them and allows them to see themselves as an integral part of the whole. Honest discussions create a culture of openness. Are you interested in hosting your own retreat? We’ve taken the guesswork out planning yours by creating the Family Retreat Packet. It’s guaranteed to save you time! Discussions Worksheets that will help you answer questions such as: “Is there something our kids need from us that we are not providing? What do they think about each other?, When I am not around, are my kids treating each other well? 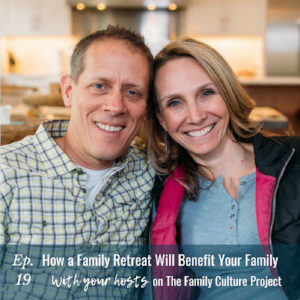 Does our behavior reflect our family’s mission or values?